Enterprise Visibility Platform | Netwrix Corp.
their most valuable information assets — both on-premises and in the cloud. risk assessment, user behavior analysis and activity monitoring, alerting, and incident investigation. Better secure your valuable data by controlling access entitlements and spotting access anomalies. Netwrix Auditor delivers broad visibility into user access to systems, applications, and structured and unstructured data repositories. Bring your data risks down to acceptable levels by better understanding and managing your unstructured data. 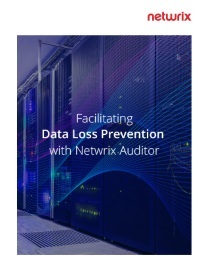 Netwrix Auditor’s Data Discovery and Classification capabilities enable you to identify where sensitive data resides, where it is overexposed, who owns it and how it is used. Spot even subtle signs of suspicious activity. Netwrix Auditor’s user behavior analysis capabilities help you detect unusual access to network resources, unauthorized data touches, creation of back doors and other unauthorized activity. Fulfill key regulatory requirements with far less effort and expense. Netwrix Auditor’s out-of-the-box compliance reports enable you to demonstrate the maturity of your cybersecurity program and meet auditors’ expectations. Limit the damage ransomware can inflict on your sensitive data and critical operations. Netwrix Auditor helps you tightly control user privileges, object permissions and Group Policy to limit the reach of malware. It also alerts you about any mass file reads or modifications, which could indicate ransomware in progress. Looking to get started with data loss prevention? In an effort to reduce the risk of data loss, many companies impulsively invest large sums in all-encompassing enterprise DLP platforms. But an effective data loss prevention extends far beyond implementing a particular technology. Learn about the DLP strategy and integrated DLP capabilities that Gartner says could be a better fit. Have you noticed a paradigm shift? Some enterprises are still investing in siloed point solutions for security, but the rules of the game are changing fast. 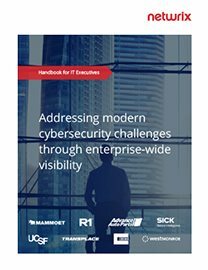 Learn how forward-thinking IT executives are now focusing on enterprise-wide visibility to address the critical IT security challenges of today and tomorrow. 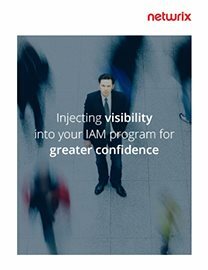 Struggling to keep your IAM project on track? Identity and access management projects throw down serious challenges that cause many organizations to stumble and even fall. Learn how we can help you prepare for IAM implementation, keep your project on track and assess its impact. Robust compliance reporting enables you to effectively prepare for audits, and respond immediately to requests from assessors. IT Risk Assessment capabilities enable you to identify, assess and act on configuration gaps and weaknesses in your practices so you can continually improve your security posture. Netwrix Auditor enables you to enforce security polices and alerts you to signs of ransomware in progress. products to get a reliable enterprise solution with top-notch support. We’ve created free add-ons to help you get the most value out of the tools you already use, from SIEMs like Splunk to ticketing solutions like ServiceNow. It’s easy to create your own add-on — just visit the Netwrix Technology Integrations page for instructions. Or you can outsource the work to our professional services team. Since its inception, Netwrix has focused exclusively on bridging visibility gaps to strengthen information security. We allocate all of our resources to the enhancement of the Netwrix Auditor platform, always keeping customer needs front and center. Having a strong technology partner is good; having a well-connected one is even better. That’s why Netwrix builds strategic partnerships with industry-leading vendors like Microsoft, Oracle, ServiceNow and VMware — to ensure you receive a superior, vendor-proven visibility solution that supports your data security and risk mitigation initiatives.